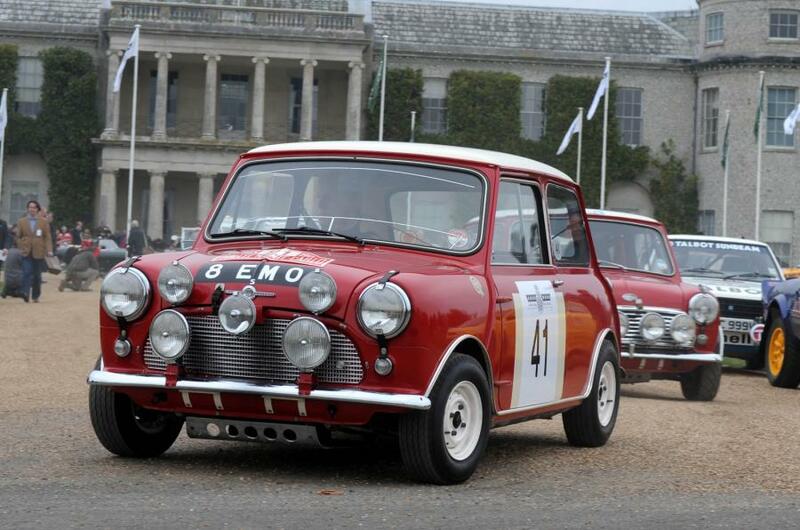 Between 1960 and 1972, the Mini won 32 rallies around the world, including three wins at Monte Carlo. This small economy car, launched by the British Motor Corporation (BMC) in 1959, became famous for its ability to persevere in the harshest of conditions, beating off competition from larger and often more powerful cars. BMC had established a 'Competition Department' at their Abingdon plant, run by Stuart Turner. Their objective was to develop a range of Minis that could compete in rallies and other motorsports events, raising the profile of the car to generate sales. The strategy worked perfectly. Turner put together a strong team of drivers (Timo Makinen, Rauno Aaltonen, Paddy Hopkirk and Tony Fall) and technicians. Turner understood that to be successful on the rally circuit, their Mini rally cars had to be incredibly reliable. The team's attention to detail as they prepared the car for a rally was meticulous, checking every nut, bolt, brake shoe and bulb. When needed, modifications would take place to provide extra protection or strength such as the strong underside guard added for the mountain tracks of the R.A.C Rally in Wales in 1966. Every rally car was prepared from scratch by one mechanic. He took it out to the rally, handed it over to the driver and made those important last minute adjustments. They also tailored each car for the driver, even changing the location of the cigarette lighter for the heavy smoking Makinen. This was success built upon preparation, brilliant driving, spot-on tactics, and a strong team spirit. The first Mini Cooper rally success was in 1960 at the Cork 20 Rally when Sheila O'Clery won driving an Austin 7 Mini. It would be two years before their next success with Paddy Hopkirk won the Circuit of Ireland Rally a year after his success in a Sunbeam Rapier. A Mini with Hopkirk in the driver's seat would go on to win the Circuit of Ireland Rally in 1965 and 1967, with two other Mini Cooper victories in 1964 and 1966. In 1962, the Mini rally team secured four victories in all, but it would be another two years before they again tasted success. 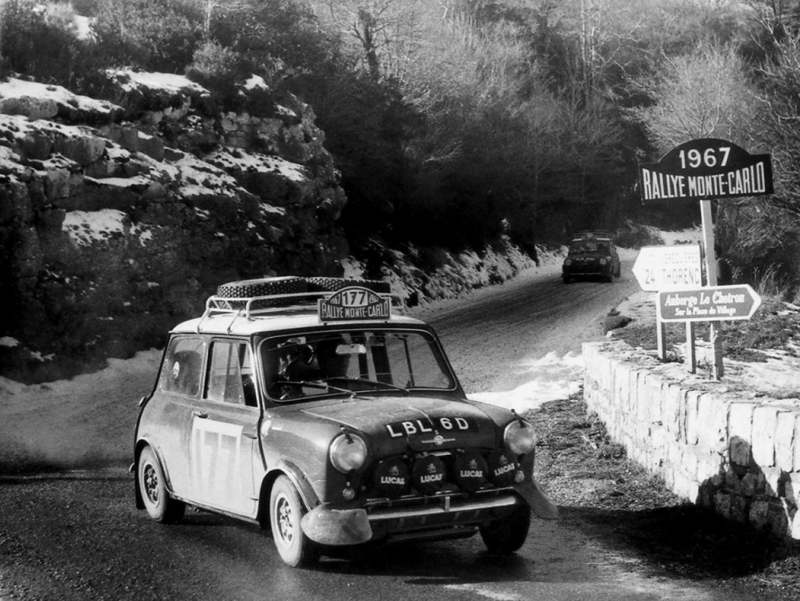 In 1964, the Mini team won the Monte Carlo rally for the first time with Hopkirk once again at the wheel. It was the first of four victories in the year and was the start of a prolonged period of rally success. Eight rallies would be won in 1965, with seven in both 1966 and 1967. During those three years, the Mini Cooper would reign in Monte Carlo twice ('65 and '67), 100 Lakes Rally in Finland thrice, Circuit of Ireland thrice, Rally Poland twice ('65 and '66). The team's only victory on home soil came in the 1965 RAC Rally with Rauno Aaltonen in the driver's seat. Their final victory would come in the 1972 New Zealand Rally, but by that time the rally dominance of the Mini Cooper was over. As in the production line Mini cars, gauges manufactured and designed by SMITHS Instruments featured in the dashboards of the rally cars. 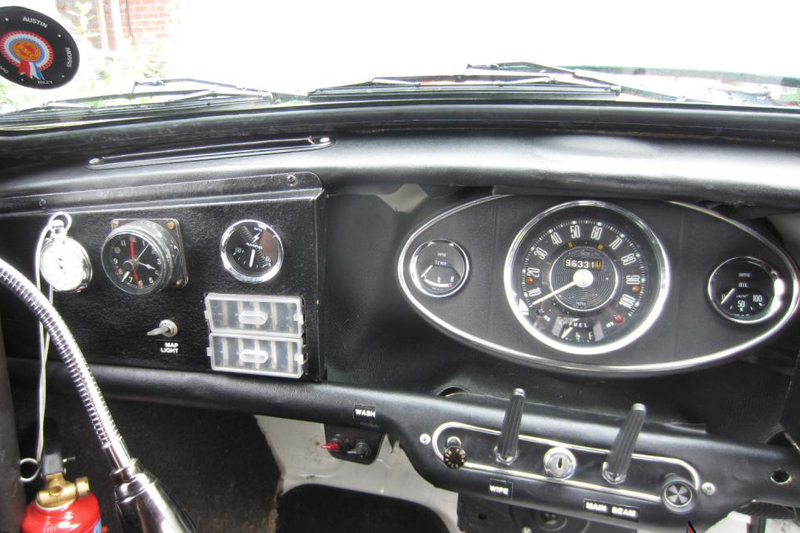 There was little change to the instrument arrangement, with the speedometer mounted in the classic central position.